Which Mascara and Eye Pencil is the Best for Gray Eyes? They say that grey eyes reflect the strength of personality of their owners. Well, sometimes this statement is true. People with grey eyes are very thoughtful, serious, stubborn and ready to achieve their goals by all means. The hardly change their opinion and decisions. It is really hard to imagine a weak person with grey eyes. They always stick to their position in life and their own point of view. Such people live in real world where there is no place and time for dreaming as there is still lots of work to do. Which Mascara and Eyeliner is the Best for Gray Eyes? On the other hand some people with grey eyes are very gifted and talented. They sometimes have a great creative potential. Life is full of joy and excitement for them. They gain pleasure from every moment and every person that surrounds them. They are very communicative and easy-going. Women with grey eyes are always very pleasant to talk to. They will turn out to be very reliable friends and partners. They will never let you down despite their cold look. If you want to make your eyes as cold as steel or as warm as spring sun, you need to follow several easy tips for the best make-up. First of all you need to choose correct mascara for your eyelash. 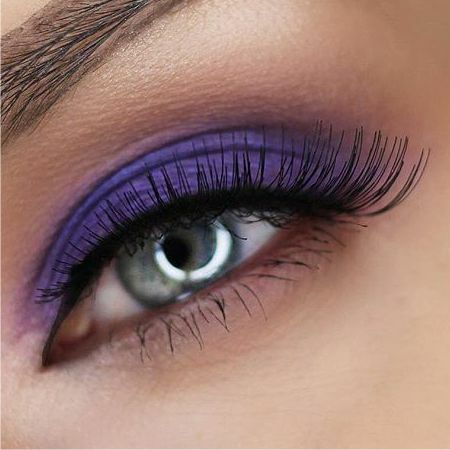 Blue, grey, black and even plum mascara will be a perfect choice. It will be also great if your mascara will also include violet and blue twinkle pigments. If you decide to choose one of the above mentioned variants, you should also pay attention to the color of your hair. It is very important taking into consideration the fact that brunettes and blonds with grey eyes need different kinds of make-up. 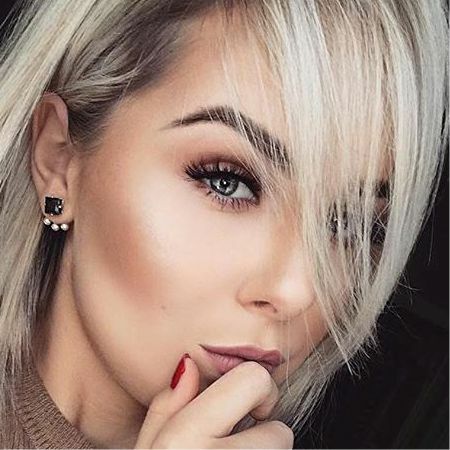 Blonds with grey eyes prefer using light pastel colors and shades in combination with black eye pencil and black mascara. Blond are also recommended to make a thin line with the help of a black eye pencil. 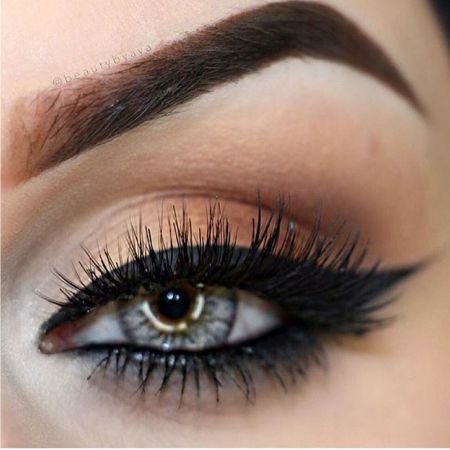 The line should follow the direction of the lash growth. If you do not use eye pencil, you make-up won’t be completed. That is why you need to use soft pencil which will give you a chance to stress the beauty of your eyes. In addition you will be able to create the effect of thick eyelashes and turn your make-up into “smoky” or any other type you like. Speaking about women with grey eyes, experts recommend using dark-blue, teal or hazel eye pencil. The intensity of the line will depend on the character that you want to create with the help of your make-up. However all these colors are aimed to stress the whole depth and beauty of your look. Brunettes with grey eyes also have lots of opportunities to create different kinds of make-up. 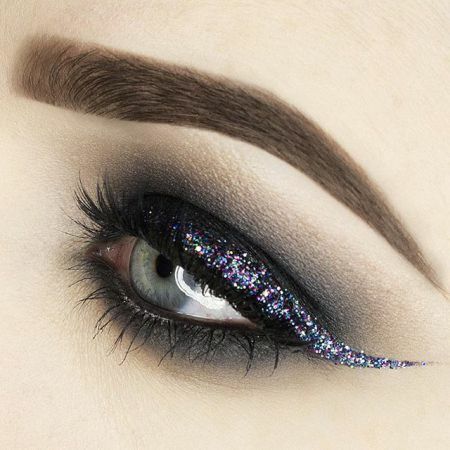 In addition they can take an advantage of various experiments with different colors of eye pencil and mascara. Intensive blue shades will help them to create a deep and mysterious look while vinous and plum shades will turn a woman into a seductive and charming beauty. However you will have to try several variations until you will be able to choose the most suitable makeup. Like the article «Which Mascara and Eye Pencil is the Best for Gray Eyes?»? Share it with friends!